Welcome back to Christmas in July: Animation Celebration! July is the special time of the year that I turn the blog over to my readers. All month long I'm posting essays written by people eager to share their passion and memories for animated Christmas entertainments. However due to unforeseen circumstances, the guest blogger who reserved 1965's A Charlie Brown Christmas was unable to complete the essay. Since several people wanted to reserve this TV special for themselves, I knew many might be looking for it--so I guess you're stuck with my personal memories of A Charlie Brown Christmas! I wanted to play Linus in my 2nd grade holiday pageant. 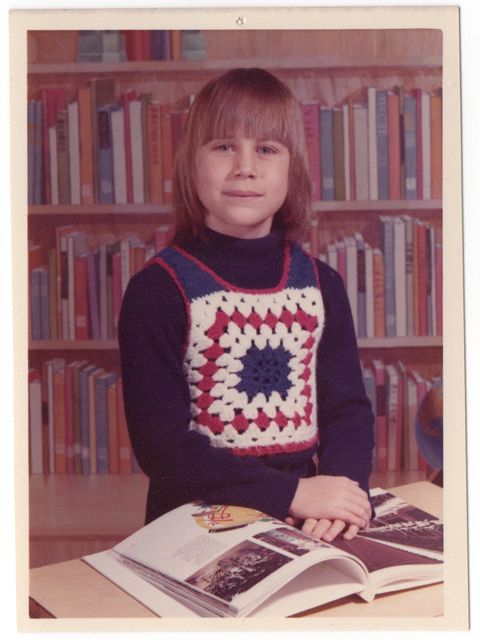 My 2nd grade school photo--Fall 1975. I was destined to be cast as Peppermint Patty. Although I was only seven years old, I already knew A Charlie Brown Christmas well enough to be EXTREMELY excited about this opportunity. 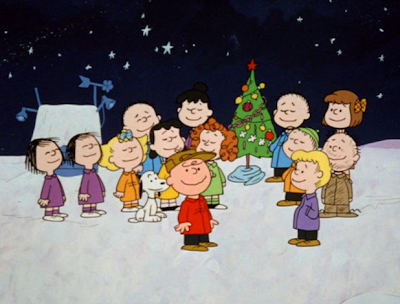 In 1975, watching an animated Christmas TV special was still a special event--and you didn't miss the one night it was broadcast. In the days before VHS tapes, DVDs and hundreds of cable channels, if you missed watching your favorite Christmas TV special, you'd have to wait a WHOLE YEAR to see it again. And one year felt like decades to a second grade TV junkie. So participating in the stage production felt like a special opportunity to connect with a precious aspect of TV culture. I still remember the play rehearsals--learning when to say my two brief lines of dialogue, hearing the other actors repeat their lines over and over, and discovering where I was supposed to stand on stage at different moments during the production. My best friend at the time was cast in the role of Lucy, and to this day I still remember most of her lines--Lucy has some of the best punchlines in the script! Maybe I remember most of Lucy's lines of dialogue because I've been listening to this record for years!? It was an embarrassing number of years later before I realized that Peppermint Patty DOESN'T EVEN APPEAR in the 1965 animated TV special!? I'm glad I didn't know this in second grade. 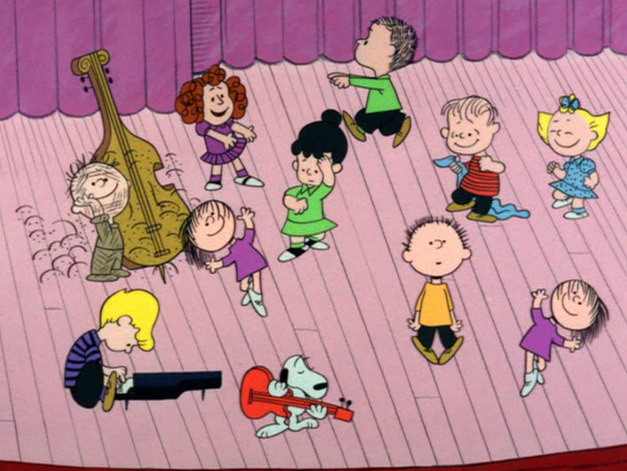 I'm assuming the two elementary school teachers that adapted the TV special into our holiday pageant just added popular Peanuts characters in order to include more children in the production. Follow-up: at my 20th high school reunion a few years ago, a bunch of us that were in the 2nd grade play together were reminiscing about it. Turns out, I'm not the only one who's mother saved the original script. Someone even claims that their parents may still have an audio tape recording of the performance. Wouldn't I like to hear that! Anyone have photos from the rehearsals or one of the performances? Let me know. Oh My, that was a wonderful story from your childhood. I so enjoyed it! 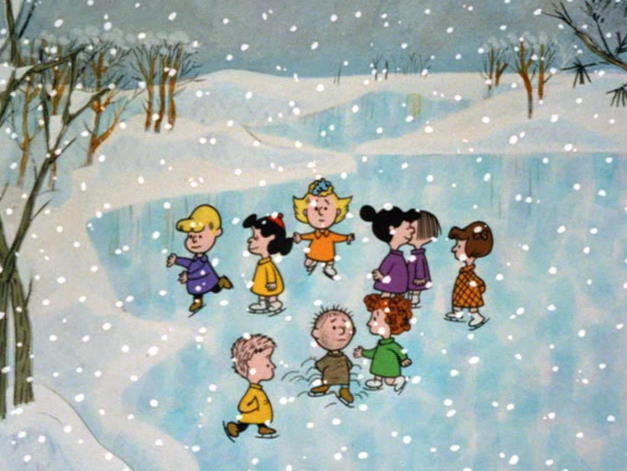 I had never noticed that Peppermint Patty wasn't in the Christmas Cartoon. How about Marci? 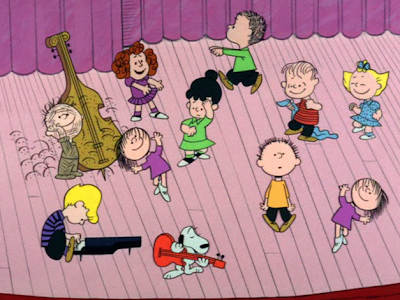 I Loved seeing all those group shots, yet still no Peppermint Patty. That's incredible. Hmmm??? Wonder why? 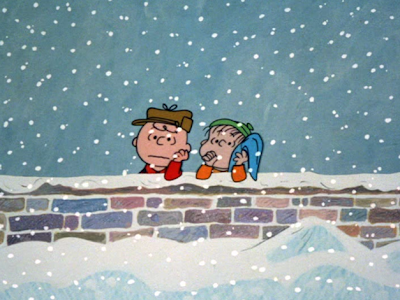 Anyway, I think so many of us are touched by "A Charlie Brown Christmas" and Linus sharing with Charlie Brown the true meaning, in his sweet little voice: "For unto you is born this day a Savior which is Christ the Lord..." (excerpt from Luke 2). 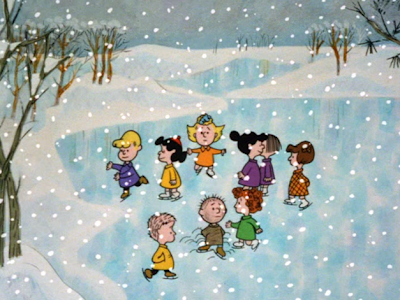 "A Charlie Brown Christmas" is a jewel amongst all the Santa and Snowmen cartoons and I hope many generations will continue, as we do, to look forward to seeing every year on TV!!! Goodness! We did a PEANUTS play in school, too, back in 1967, only it was the Great Pumpkin; I remember how we stretched out that "I got a rock" gag. My best friend played Sally. Bummer the person who requested the essay wasn't able to complete it. I was one who requested it as well, as it is my all-time favorite special, but I loved reading about your personal experiences with it! Funny how those early programs you're in as a kid can stick with you. Interestingly enough, that is kind of what this special highlights in itself. Like you, this was definitely one I never missed seeing every year and now can rehearse it line by line. I still find watching it or listening to the soundtrack very soothing. By the way, Joanna--my mom made me a crocheted vest similar to that, too...they were really "in" in the 1970s! Thanks for sharing the story & photo! This review captures the spirit of the old "pre-dvd/vhs" world we inhabited as kids. I remember when tv specials were the talk of the playground the day they aired and often the next day as well. Every special was "an event" back then. 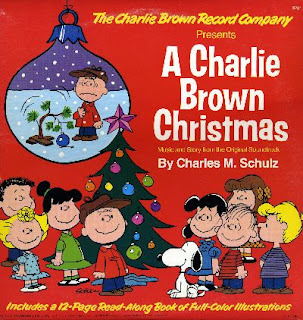 One year my parents & I were running late returning from Christmas shopping, it happened to be the night that CBS was airing 'A Charlie Brown Christmas'. I started to get a bit worried, since it was my only chance to watch it that year. Thankfully, the local CBS affiliate used to simulcast on the radio, so I listened to the opening segment in the car (better than nothing), caught the rest on tv when we arrived home!